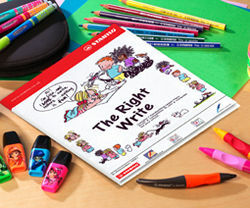 Anything Left-Handed are pleased to have been involved with educational supplier Stabilo in the development of an excellent new Key Stage 2 Handwriting Resource Pack. 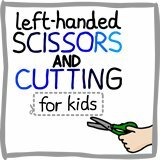 Written in conjunction with the National Handwriting Association, we have created 7 lesson plans tailored to meet the National Literacy Standards for handwriting, and have included plans specifically for left-handed writers. 1. Why is handwriting important? 4. 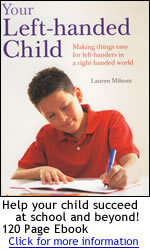 Are you a leftie or a rightie? 5. 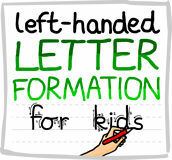 How neat is your handwriting? We have these lesson plans available as a free download to visitors to this web site so you can get the benefit of them wherever you are in the world. Here are the download links for your lesson plans. Once you have opened the files you will be able to save a copy to your own computer or, alternatively, right click on the links above and select "save target as.."
Problems downloading the lesson plans? 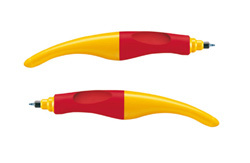 We recommend the Stabilo s'Move Easy rollerball pens with speciallly made left-handed moulded grips.